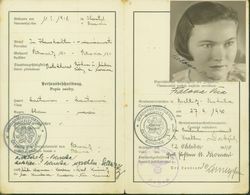 Věra Fialová was born at the end of the First World War as the out-of-wedlock child of a Czech woman and a Polish man, a Russian prisoner of war. In an old suitcase she keeps her old letters and pictures from the First and Second World Wars. Her memoirs, accompanied by songs from her family repertoire, capture the "small history" - the life story of an "ordinary woman" against the backgraound of the great historical events of the 20th century. An edited document taken as part of ethnological field research in 2007 and 2009. The Film was produced as part of the research project of the Institute of Ethnology of the Academy of Sciences of the Czech Republic, v.v.i. Prague "Cultural Identity and Cultural Regionalism in the Process of Shaping European Ethnic Patterns" (reg. number AV0Z90580513). The director Jiřina Kosíková (*1952) works as ethnologist at the Institute of Ethnology at the Academy of Science of the Czech Republic, v.v.i. Prague - Department Brno. Specialisation: Visual Anthropology. Use of video recording as an ethnological field research method and technique. 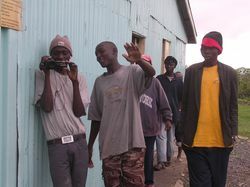 Anthony and Robert – youngsters from Nairobi – give insight into their everyday life. With a film camera they document and comment the life on the streets and in the Halfway Centre. Thereby, not only their trials and tribulations are expressed but also their sense of humor and their plans for the future, which are full of hope: Moving images which convince through their authenticity. By handing over the camera to the two protagonist, a dynamic change of perspectives is established. This renders possible a differentiated examination of the subject matter as well as the proceedings of the film. Lea was born in 1984 in Switzerland, raised in Switzerland and three years in Brazil. MA in Social Anthroplogy, Film Studies and Social Pedagogy at he University of Zurich. The film Chokora was a part of her master thesis in social anthropology. Actually, she is working as a social education worker with children and young people in Zurich. 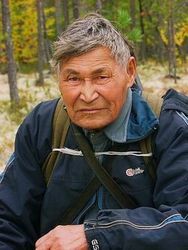 This film takes us into the world of old man Peter Sengepov, tha last surviving Shaman of the Kazym River, who lives alone in the depths of the Siberian taiga. The region of the Khanty people is the basic source of oil recovery in Russia. About 70 percent of all Rusian oil is extracted here. The oil companies actively buy huge territories in the North of Siberia. Indigenous people are compelled to leavethese places, their own patrimonial territories, and do a modern civilization gradually absorbs an ancient culture. Was born in 1978. Graduated at the Omsk State University. In 2002 finished college at the Sverdlovsk Film Studio in Ekaterinburg, department of directors of cinema and TV. In 2005 finished the Highest Courses of Film Writers and Directors in Moscaw. Winner and participant of the international film festivals and film projects. Current volume of Antropofest has been funded with support from the European Commission. This project is realized with the financial support of the European Union. The content of this web page does not reflect the official opinion of the European Union.